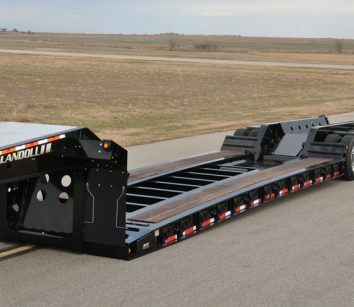 Landoll has designed a new heavy haul, detachable lowboy – the 800 Series. 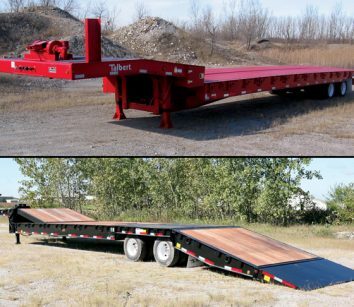 Available in either 35- or 55-ton with two, three or four axles, the 800 is a hydraulic, non-ground bearing detachable and has loaded deck heights down to 17-3/4” and deck lengths up to 32’. Standard features: adjustable ride height, powder paint. 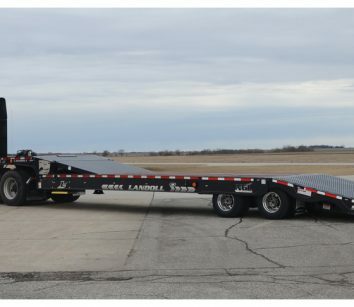 Call 800-428-5655 or visit www.landoll.com. Increase drivers’ safety and efficiencies with the Next Generation Landoll (NGL). The 55-ton 455A features a new standard hydraulic operating system (HOSS) and Grote high-intensity lighting package. A 53’ Landoll now has 22 high-intensity side marker lights and lighting is all about safety. HOSS brings increased operational speeds to the 400A series by up to 65 percent. 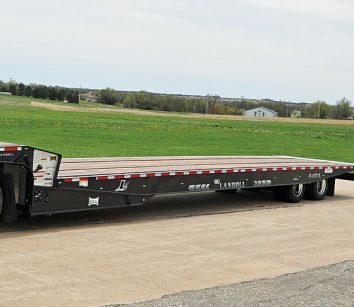 Call 800-428-5655 or visit www.landoll.com. Landoll Trailers the Next Generation Landoll (NGL) – the 400 Series. The 440A features significant upgrades such as a new standard hydraulic operating system (HOSS) and Grote high-intensity lighting package. HOSS is standard on 440A Series and increases axle travel and winch line speed by up to 65 percent, eliminates heat buildup and reduces noise. 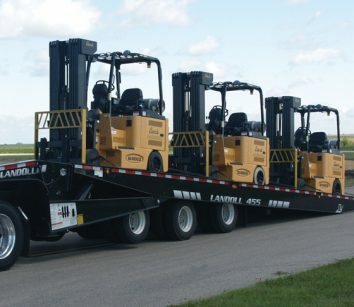 Call 800-428-5655 or visit www.landoll.com.